Thanks for sharing, while the philosophical aspect of your article is in terms of details, theory and references beyond our knowledge and understanding, that said we are encouraged to note an intelligent and detached examination of the subject which recognizes an individual’s right and freedom to offer up their lives, with the caveat of inflicting no injury to others, as the case with Tibetans who self-immolate. Although ‘suicide’ is a very loaded term and not sure we would choose to link that phrase with the actions in Tibet. Thank you for your feedback! I realise that this is an issue – I defined suicide in the first paragraph of my post as “the intentional killing of self” – unfortunately there is no other word for this than “suicide”, and it is a shame that this comes with such loaded, negative connotations. 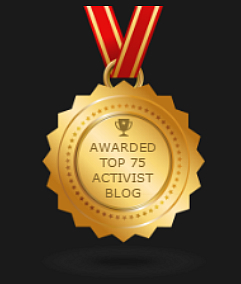 Merci for visiting and following my blog – wishing you all the best for yours! Hi, your map conforms to the Chinese borders. Your U-Tsang includes part of Kham. Therefore, your U-Tsang is the TAR and your Kham is not complete. Furthermore, your Amdo conforms to Qinghai, except for the part of Amdo which is today under Gansu, which seems to be included in your Kham. Appreciate your geographic exactitude and were the map in question designed to portray an entirely accurate cartographic representation then indeed its present layout would not have met such standards. 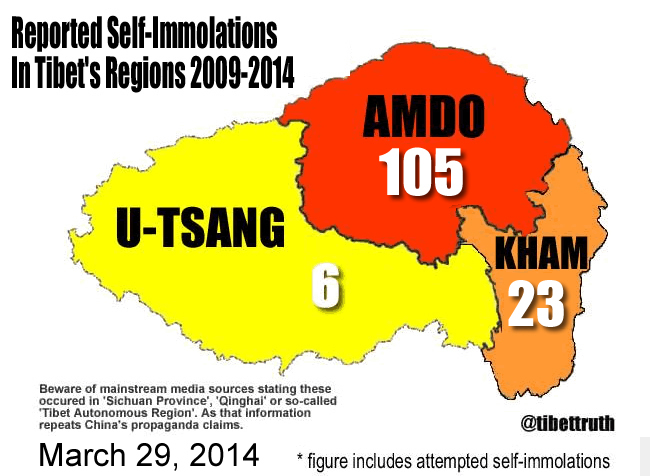 However as perhaps you already realize the purpose of the image is to convey reported numbers of Tibetan self-immolation and that there are three traditional regions of Tibet in a simple graphical form that is rapidly consumed visually. To that end the objective works. Thanks though for taking time out to offer your thoughts. ← First Lady Gets Used By China’s Regime & The State Department!